Available CAT 3406 ovehaul brand new (unused) complete kit required for inframe overhauling of caterpillar engine. 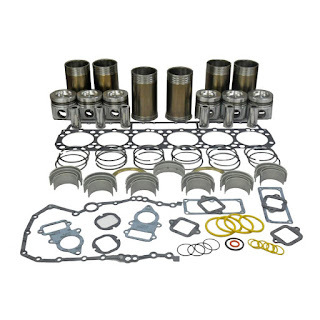 The overhaul kit is available online at amazon site. Interested customers can buy using credit cards and debit cards online. The product will be shipped by the manufacturers / supplier directly to the customer's provided address with in infomed time period.